50pc set 2" Type "R" Grinding,Sanding,Deburring Discs 40 Grit. Roloc Type Comparable to 3M. Threaded Half Turn Attachment to your holder. 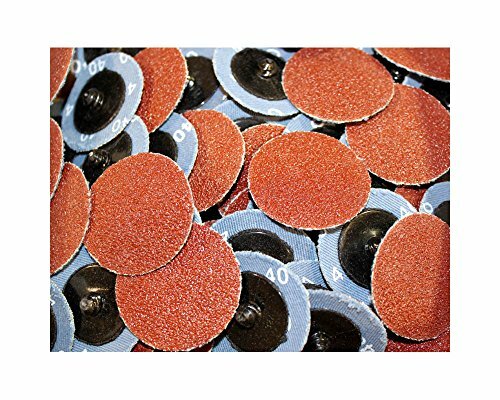 PREMIUM Aluminum Oxide Sanding Discs. Quick and easy to use. Great for use on all steels, fiberglass, etc.